Cavendish Estate Agents Cheam celebrate 20 years of trading in Cheam Village in 2012. Over those 20 years Cavendish have offered a professional and personal service to some 4,000 clients. Times change and Cavendish utilise the most modern methods to provide their clients with state of the art marketing techniques, yet manage to maintain good old fashioned principles when dealing with buyers and sellers alike. Cavendish advertise on all the major property portals and continue to use the local Guardian, offering their clients all the main marketing outlets that are available. 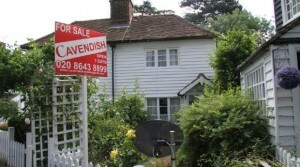 Cavendish Estate Agents Cheam are the longest surviving Estate Agency in the Village in their original form because they are successful. And you can join in their success by calling 020 8643 8899.